86…the number of new believers that came to the Lord this week in Costa Rica. 26 people, 2 churches, and 1 organization set out with the prayer that we could impact the Kingdom for one week in San Isidro. We prayed that God would allow us to see the church changed and, at least, one salvation…ONE. God showed us that His faithfulness and grace is sufficient for all of our expectations and much, much more. Our group spent most of our time in the village of Quebradas with the church planter, Ana Lia. She has been working in the village for 20 years in hopes of planting a church that brings Jesus Christ to her neighbors. It was amazing as we walked into every home she could give us a story about each person and the relationship she had with them. She also noted that many whose doors wouldn’t open for her all the time but opened to us. She told us they were amazed that people would come so far to share the message of salvation with them. The stories and memories will never end and I’m sure we were more impacted by the faith among the church in Costa Rica than they were by us. Ana Lia called us her answered prayers because she has been praying specifically for 8 years that workers would come to share with the people of her community. 20 years to plant a church…8 years for workers…over 20 professions of faith in 3 1/2 days of sharing. God answered then showed off as he does. The trip showed me or reminded me of God’s relational desire for his people. He wants us to pursue those around us with the same intention and desire that he pursues us. He has been calling us to repentance since the beginning and, as his ambassadors, we should share in that pursuit with Him to those around us. He wants me to build a relationship with my neighbors. He wants me to get to know the people at the grocery store and the gas station. And then, he wants to share Him with them. Not invite them to church. Not give them a tract. He wants me to show them the power of salvation to all who believe. Now, I know that this is in my “job description” but that doesn’t make it any easier. It should be my desire as a response to Christ’s saving work in me not part of something I’m supposed to do. I love mission trips but I should love being missional more. Thank you to all who prayed, all who supported, and all who went. His name was made famous this week in Costa Rica and I pray that it will continue in Malakoff, Houston, and Baltimore as we settle back in to “life”. Pura Vida! Soli Deo Gloria! Couldn’t have said it better myself. Unbelievable week! Here is a recap of our week in Costa Rica from Nathan Wright. Nathan serves as Student Minister at FBC Malakoff. 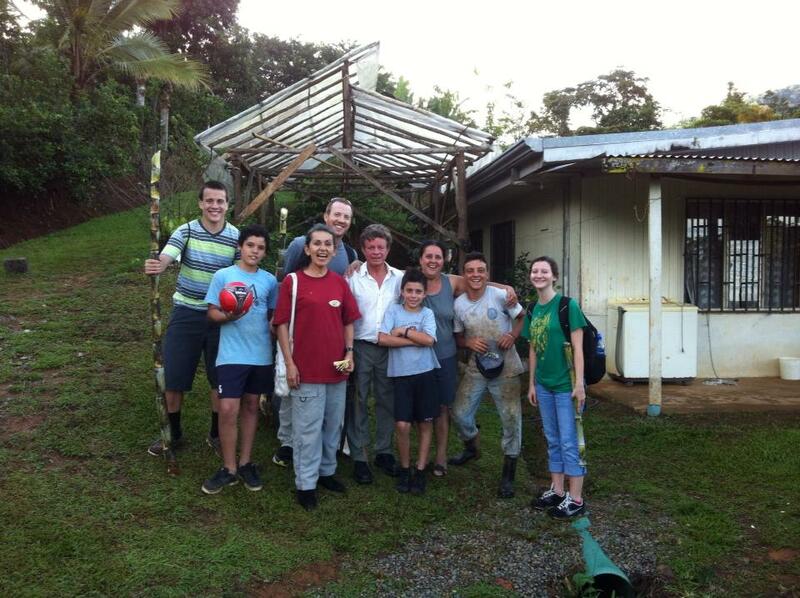 His team joined with a team from Houston’s FBC and 2 individuals from Baltimore, MD in San Isidro, CR this week. Read Nathan’s recap after the jump. You are currently reading 86 at Not Satisfied.